Lead is a heavy soft metal found in pipes, cable sheaths, batteries, solder, and shields. Lead and its compounds are toxic and can present a severe hazard to those who are overexposed to them. Until 1978, lead was added to paint to pro­mote adhesion, corrosion control, drying, and covering and was used extensively on exteriors and interiors. 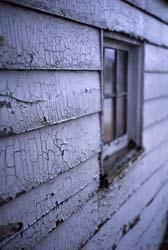 The only way to determine which building com­ponents are coated with lead paint is through an inspection for lead-based paint. Varnishes and glazes sometimes contained lead. People absorb lead from a variety of sources every day. Lead exposure could cause a variety of health effects depending on the amount of lead and the length of time and age of the person exposed to lead. Young children are more susceptible to toxic effects of lead, which can cause behavioral issues, learning disability, abdominal pain and growth retardation. Children are more vulnerable to lead poisoning than are adults. Infants can be exposed to lead in the womb if their mothers have lead in their bodies. Infants and chil­dren can be exposed to lead in dirt, dust, or sand through normal hand-to-mouth activity while they play on the floor or ground. Macomb County Health Department recommends all children under age of 6 to be tested. The most reliable test for elevated blood lead level is blood drawing. Adults are usually exposed to lead from occupational sources (e.g., battery construction, paint removal) or at home (e.g., paint removal, home renovations) or through hobbies (making fishing sinkers and lead bullets).  Macomb County Health Department responds to cases of elevated blood lead level in children who reside in the County. Depending on the level, different actions will be taken to ensure a safe environment for the children. These steps include phone consultation, sending educational material (on proper cleaning, eating habits and proper diet) to the house, home visit by Nursing Department and performing full environmental inspection and investigation by Environmental Division, making recommendation and referring the case to the State of Michigan for lead abatement and replacement of house components that contain lead. Do you live in an old home and have old windows or peeling paint? If so, the State of Michigan’s Lead Safe Home Program offers lead testing and lead hazard control services to qualifying families through grants. You can access the Lead Safe Home Program application here. Contact the State of Michigan’s Lead Safe Home Program with questions at (866) 691-5323 (toll-free).